WOODLAND HILLS—Senior Benefits, a financial and estate planning company specializing in conservative investment strategies for baby boomers and retirees, has changed its name to Providence Financial & Insurance Services, Inc. to better reflect its identity and scope of services. Providence Financial & Insurance Services has also started a rebranding campaign, moved to a larger office on Ventura Boulevard in Woodland Hills and hired more staff to accommodate its growth. 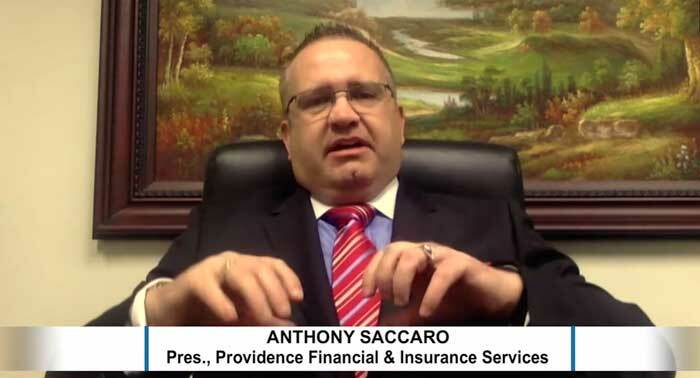 “Despite the flagging economy, we’ve been blessed with a business that’s expanding,” says Anthony A. Saccaro, ChFC, president of Providence Financial & Insurance Services, who started out selling life insurance products door-to-door in the late ’90s. 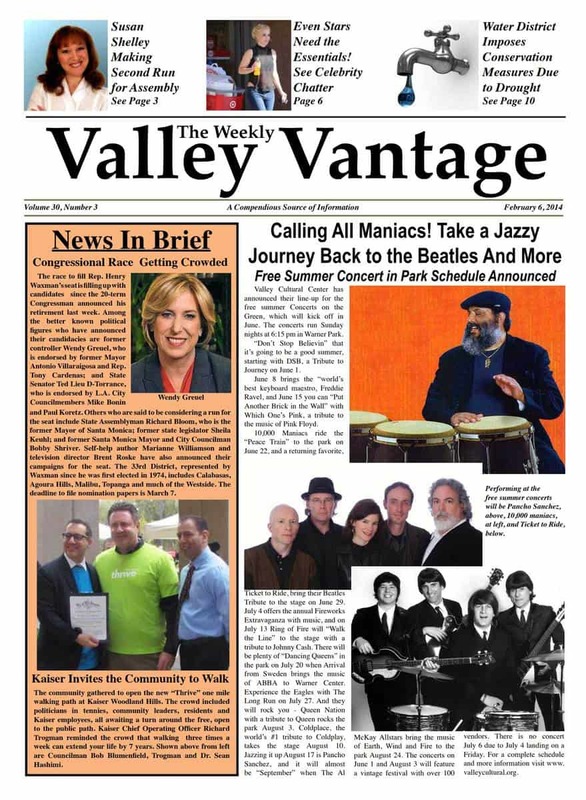 “Earlier this year, we started offering tax preparation services, and more importantly, we developed a relationship with Jim W. Rickard of the Stewardship Services Foundation in Santa Clarita who specializes in financial planning seminars for churches. We earned his trust and respect because of our service-first philosophy and comprehensive financial planning strategies that help clients maximize their financial plans and retirement benefits while minimizing their taxes and post-death expenses. As a result, we’ve received countless referrals from him. It’s been a very fruitful alliance,” Saccaro added. Saccaro got his California insurance license in 1999 and started Senior Benefits, working out of his home. He also became a registered investment advisor and started offering financial and estate planning services. In 2006, with his business growing, Saccaro moved it from his living room to a small office in Woodland Hills, just a few minutes from his current location. 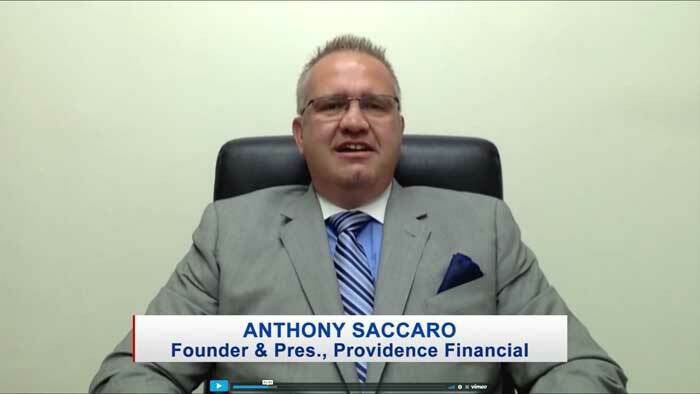 The recent name change to Providence Financial & Insurance Services captures Saccaro’s vision of his company based on his Christian faith and his belief that everything is providential, including his long hard road to success. Providence Financial & Insurance Services celebrated the name change and new office with a ribbon-cutting and open house on October 20, 2011. More than 150 clients, guests and friends helped make it a resounding success! It was a fun evening of food, fellowship, tours of the office, warm hugs and beaming smiles. The highlight of the evening was the Ribbon Cutting officiated by Woodland Hills-Tarzana Chamber of Commerce CEO, Diana Williams, director of business development, Jen Svejda, and Chamber Ambassadors, Martin Carman and Paul Shafit. The evening culminated with a public drawing of the CELEBRATION RAFFLE winners. Mildred Terranova (photo right) was the winner of the GRAND PRIZE, a 5-day, 4-night Mexico Cruise for two. Our client since 2006, Mildred is 92 years young and is actively involved with the Santa Clarita Senior Center. She is excited to go on the cruise with a friend. Bon voyage! Congratulations to Tom and Susan Thompson, recent Providence Financial clients, who won both a SILVER PRIZE AND a GOLD PRIZE because they, took advantange of the multiple entry allowance to obtain five extra raffle entries and introduced five of their friends to Providence Financial. At the end of the event, Saccaro thanked everyone who attended the Open House; his dedicated staff, Drew Bell and Janet Tran; Brian Harr Photography; Julie Cha Allen of J. Allen Communications, for her invaluable media and public relations and marketing expertise; and Cassidy Allen for his branding and graphic design contribution. Anthony expressed special gratitude to his wife, Anca Saccaro, executive director of Providence Financial, who organized and coordinated the event.